No, a CRJ doesn't have LPV RNAV. What about LNAV/VNAV with Baro aiding? 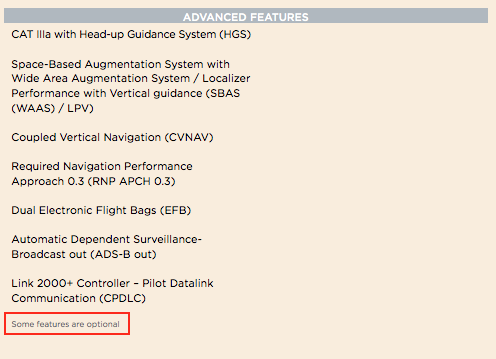 Nope, with this product you can only fly automatic RNAV approaches in LNAV and VS. That is it. That is an absolute shame because in a world in which RNAV and RNP have become the normal not offering the capability of verticle guidance on an RNAV approach is akin to failing to offering a glideslope on an ILS approach. It is 2017 not 2000, even the Cessna 172 that I rent with a panel mount GNS530W comes with vertical guidance to say nothing of the capability of the Pro Line 21 equipped Beechcraft that I teach professionally. I understand that us real-world pilots are considered lower forms of life on these forums and our opinions are considered nonsensical garbage, but to go ahead and throw some garbage anyway you should really reconsider not offering LNAV/VNAV at the very least. The RW CRJ that we model does not have this. This means that every day these planes fly in an RNAV and RNP environment without an VNAV function. No biggie really. And wait for it, 24 Airbusses that my company flies do not even have GPS, again no biggie in 2017. I guess in Europe when the weather is low you just don't go. Not really an option in executive transportation where the destination is only served by RNAV approaches. Well, the CR7/9 is a regional airliner not an executive jet. I doubt that the US regionals all have the VNAV option. And as long as you have an GPS you can fly RNAV approaches with an LNAV minimum. The CRJ we model is certified for CAT3A btw. Never heard of the Challenger 870 have you? The Rockwell-Collins FMS 4200 is capable of LNAV/VNAV and is SBAS optional. You'd be surprised about what I have heard and read. The bottomline here is that the AS CR7/9 is modeled after two RW MSN's. Both are still flying RW ops everyday as a regional jet. Regardless of the options available we included the features that their RW counterparts have. I just finished texting with two of our RJ instructors at St. Louis. They are unaware of aircraft shipped without the vertical capability for FMS or GPS approaches, however, there are numerous configuration options available and it would not be unheard of for an operator to have certain features disabled for their fleet. Lateral and vertical guidance is available throughout all FMS-based approaches. I think this is something you need to take up with Bombardier rather than Aerosoft. Vertical guidance is not the same as VNAV. The AS CRJ's have vertical guidance modeled. I flew many of my 5000 RW CRJ hours in one of the MSN's modeled so from the horse's mouth, it had/has no VNAV capability like offered as an option on FMS4200 equiped aircraft. To which RJ are they referring? Not one of the CRJ's of the US carrier I used to fly for (200's through 900's) every had VNAV other than the advisory VNAV. Not saying it doesn't/shouldn't exist, but out of the almost 200 airframes the carrier operated at one time. All of them were shipped without VNAV capability. They are both CRJ instructors at St. Louis. Seems to be a little confusion here on what is being discussed, RNAV approach capability to LNAV/VNAV minimums as opposed to VNAV capability of the AFCS. This topic was always about approaches, not sure how it migrated to a discussion on enroute VNAV. Page 21 shows the aircrafts are capable of RNAV (RNP) 0.3 approaches and RNAV (GPS) LPV minimums. if LPV and CVNAV are not modeled, what does that imply for RNAV/LPV capability? The CRJ's we model are around 10 years old, an 2017 sales brochure is just that and do not forget the area I boxed in red. We all agree that CRJ's can nowadays be ordered with all these features installed. According to the AOM (company dependant) of the MSNs we model they are not certified to fly RNAV LNAV/VNAV minimums. Ofcourse you can certify the AS CRJ yourself to fly these approaches to a lower minimum. And as you are alone in the VC anyway there is no FO stopping you from doing that. TO fly RNAV approach with aerosoft CRJ is very simple: you just use the Vertical Speed - you can see the profile on FMS.